POUR, wine & taproom will hold a soft opening February 1st, 2019 and Grand Opening March 1st. Located at the corner of Ellsworth Rd and Guadalupe, they are excited to enhance the area by offering specialty wine, local craft beer and shareable plates with the community. Owners and operators, Kreg & Corona Bahm with business partner, Eric Baker and his wife Tara Saavedra wanted to offer the community a neighborhood hangout. With Kreg’s hobby of beer trading and taste for local craft beers along with Eric’s passion for food make for a perfect pairing! The custom decor, built by themselves, was designed in purpose to offer a cozy, inviting atmosphere. At this communal culture you can try 30-35 craft beers on tap and 20 different wines. A few of the local beers you will find on tap are Dark Skies Brewery, Ren House, Cider Corps, and a limited release keg. Kreg said, “Once you become a beer lover, it’s more than about being thirsty; it’s about the experience and then sharing that experience with friends”. Pour will showcase local craft beers and wines while also supporting local farmers’ and other small businesses for seasonal menu items and specialty drinks. The menu will consist of 6-8 items that will pair well with both beer and wine. 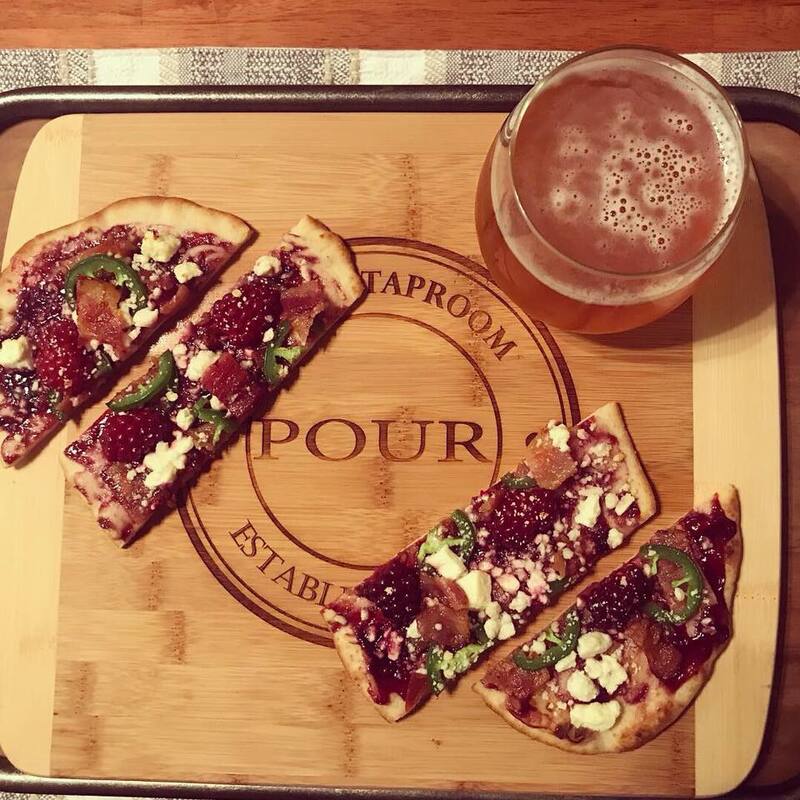 They will feature pretzels with homemade beer cheese, savory flat bread pizzas, meat and cheese boards and more. They have strong ties to the community and recognize the importance of supporting surrounding small businesses. Pour will open daily at 2pm, closing at 10 Sunday through Wednesday and midnight Thursday through Saturday. Happy Hour will be held 7 days a week from open until 7 pm. Watch for weekly specials like Wine down Wednesday, Teachers night, weekend mimosas and michelada! Pour holds a series 7 license, which allows them to sell beer or wine to go. Stop in and pick up your favorite brew to enjoy at home privately, or to share at a party. For more information, like their page at facebook.com/AZpourwineandtaproom.